Cadogan Farm Estate ARE YOU A VENDOR? 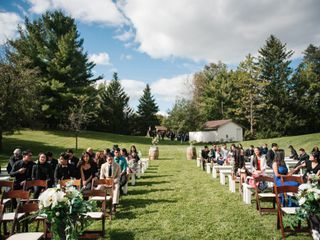 Now Booking for 2020 and beyond, Cadogan Farm Estate is a unique venue nestled in the heart of the Caledon Hills. The Estate is a 200 acre hidden gem. 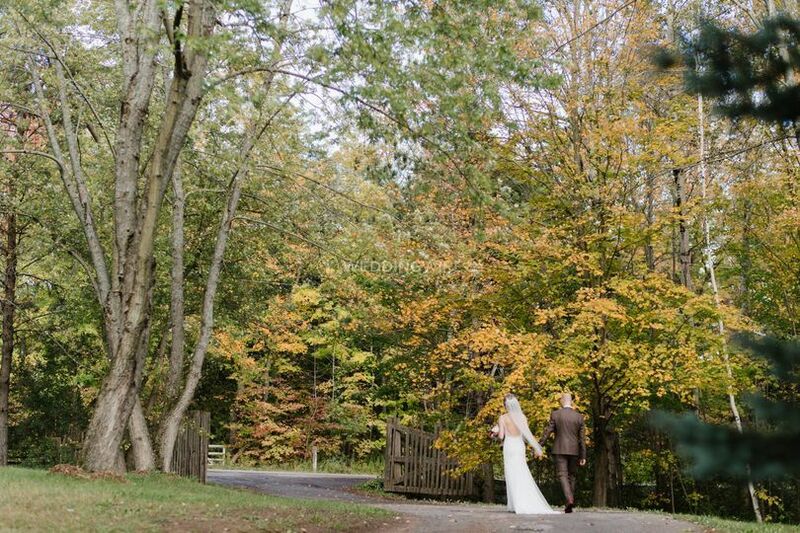 The park like setting, with towering trees, gazebo and spring fed trout pool, offers the most natural and beautiful backdrop for your ceremony and wedding photos. The wedding packages offered are extremely customizable and allow a lot of room for your personal touches. They also treat their Bride and Grooms to a luxurious One Night Mini-Moon stay in their award winning Bed and Breakfast. 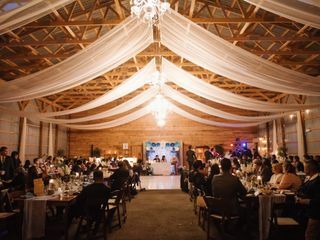 The rustic style Court House barn comes complete with 5 gorgeous chandeliers and drapes. It has an elegant bridal suite for the bride and her attendants to get ready before their big reveal . 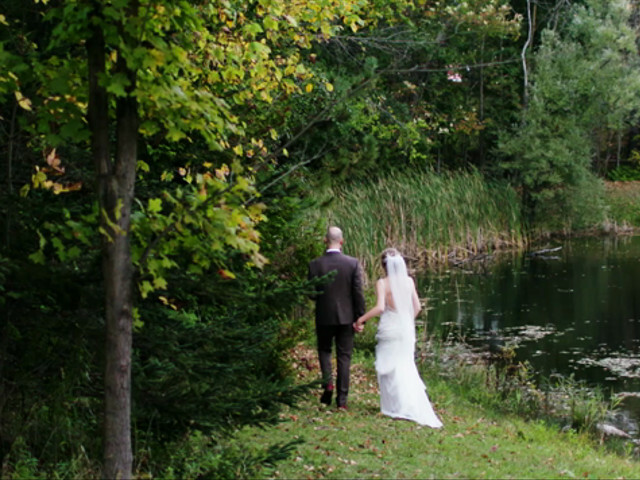 Say 'I do' under a rustic white birch arbour in the Forest Glade or on the dock, floating above a tranquil trout pool. The Grooms fishing cabin is a really unique offering. Before or after the ceremony, the entire property is yours to capture the day in photos and videos. Strolling through the gorgeous gardens, saying hello to their horses grazing nearby, guests will feel like they are transported to another time and place. 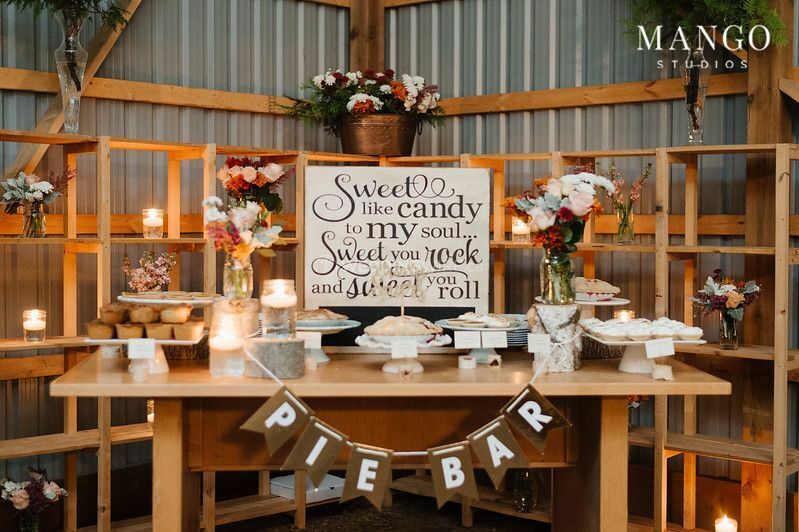 Different options for outdoor cocktails and reception (weather permitting), and then head to the barn for an unforgettable party, complete with bar and dance floor area with capacity for up to 200 people. 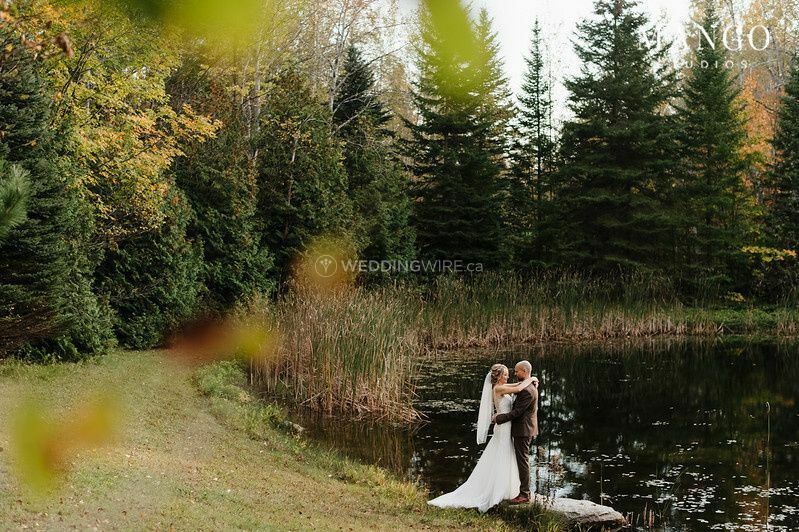 Our wedding at Cadogan Farm Estate was on 29 September 2018 and perfect is just an understatement of what our special day was like for my husband, Joel, and I, as well as our family & friends. Thank you, Gina, for accommodating our requests, giving us advice and making our dream wedding come true. It is a beautiful memory that we will keep reminiscing for the rest of our lives. We only had 4 months to prepare our wedding, however, that day in the month of May that we first saw Cadogan Farm Estate, we knew in our hearts that it is the venue for us. 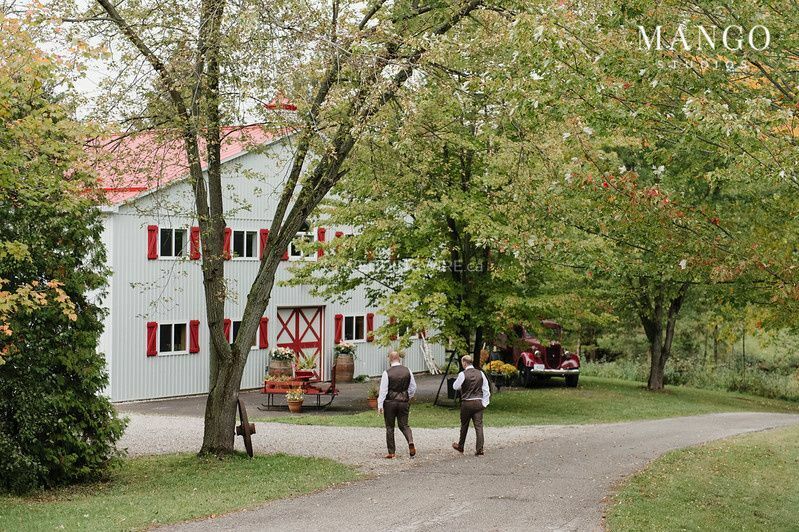 Cadogan Farm Estate, as we would describe it, is a modern barn suitable for intimate special occasions. 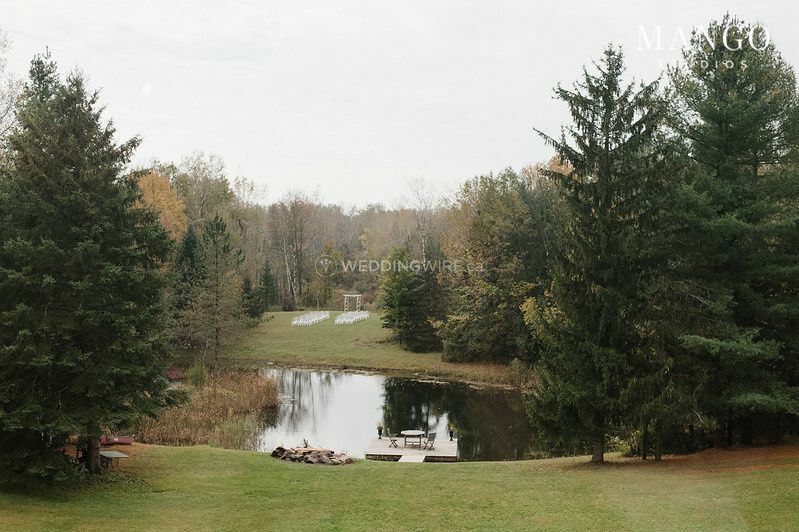 It is has an option of having your ceremony by the pond, on the vast green fields as well as in the barn. We had ours by the green field by the pond and by God’s grace, we had the beautiful sun shine out throughout the day to light our wedding ceremony. Gina made sure that the grounds were lush and full for us to enjoy – mind you, we had lots of kids on our guest list and they surely were lavished with the generous space in the fields to run around. 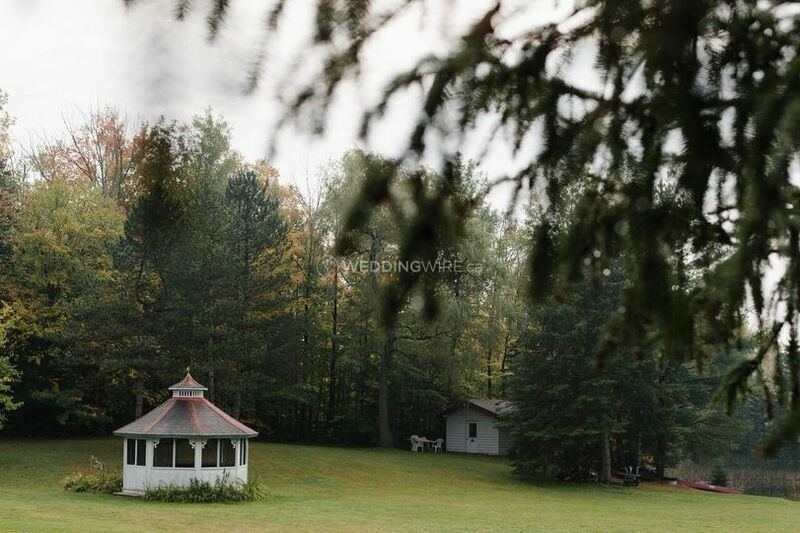 The bride and the bridesmaids have a separate room on top of the barn where they can take beautiful pictures. The bride’s room is bright, airy and exudes a romantic vibe to it. It has ample space for the bride and bridesmaids to get ready and we even got to practice our dance for the reception! Please see the pictures! For the boys, the groom and his groomsmen enjoyed the swimming pool and spa as well as the small cabin by the pond, where my husband spent an intimate time to prepare and shake off the jitters with his friends and family. Our families had the option to stay overnight at Gina’s bed and breakfast as well. The bride and groom opted to stay overnight in the bridal suite located in the barn. Gina was generous enough to allow us to set up the day before our wedding. We were able to have our wedding rehearsal the night before and rally all the DIY-ers in among our family and friends to really spice up the place. 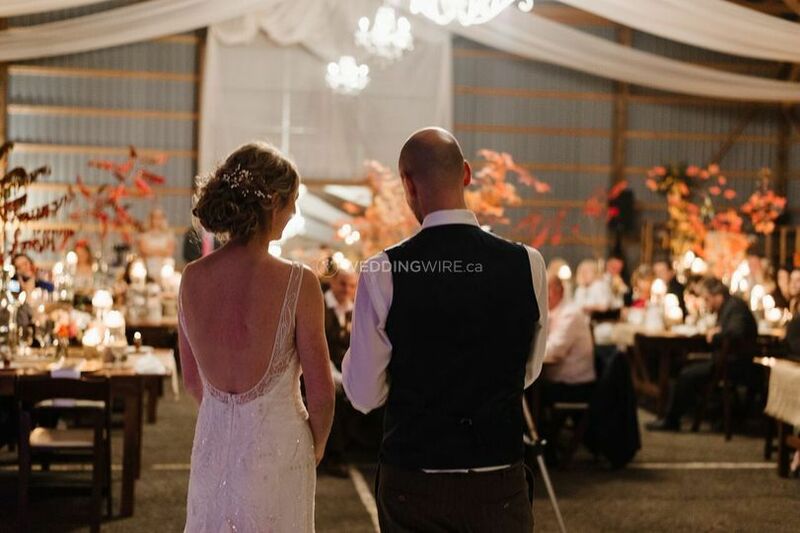 We had a fear that the barn will be too dark during our reception, but the chandeliers were bright enough and we complemented them with lots of candles along the tables. During reception, we advise that you take advantage of the add-ons that Gina provides including: the dance floor, the glass jars for floating candles, the wine barrels and the sofas. These really give you a lot to work with in terms of making the venue bring the country/ barn wedding theme. 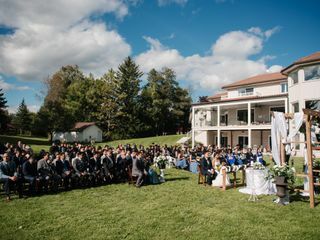 All in all, my husband and I along with our family and friends had the greatest pleasure of having our special wedding day at Cadogan Farm Estate and we highly recommend it. 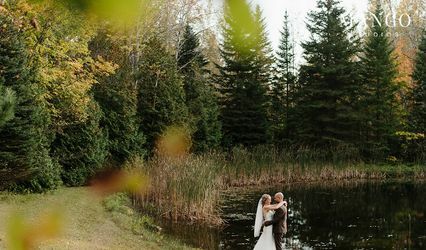 We believe that it is still a hidden gem that will be soon discovered by many, especially those that want to get away from the busy wedding venues in the Greater Toronto Area. 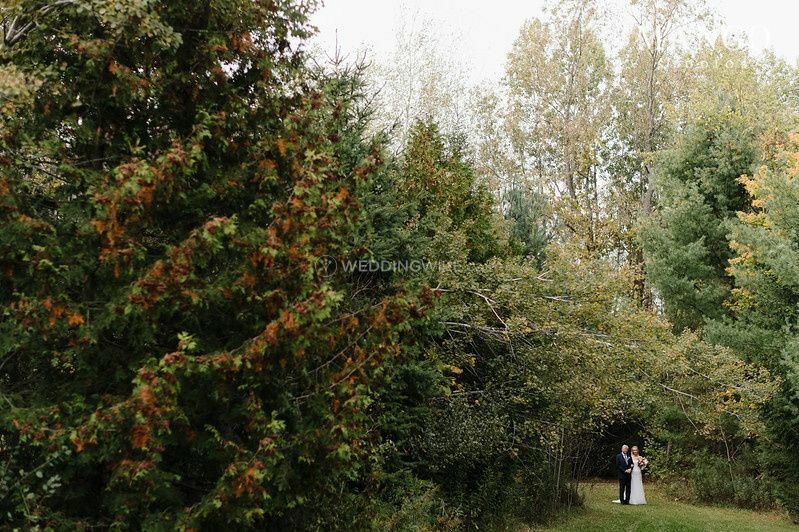 Our family and friends were so thankful that it was less than an hour drive to get to our venue—yet it was a stunning treasure to gather, celebrate and be married! All the best Gina, and everyone at Cadogan Farm Estate! Joel and Charmaine- Thank you so much for this review. I wish we could do it all over again, you were both fabulous to work with - the day was perfect!